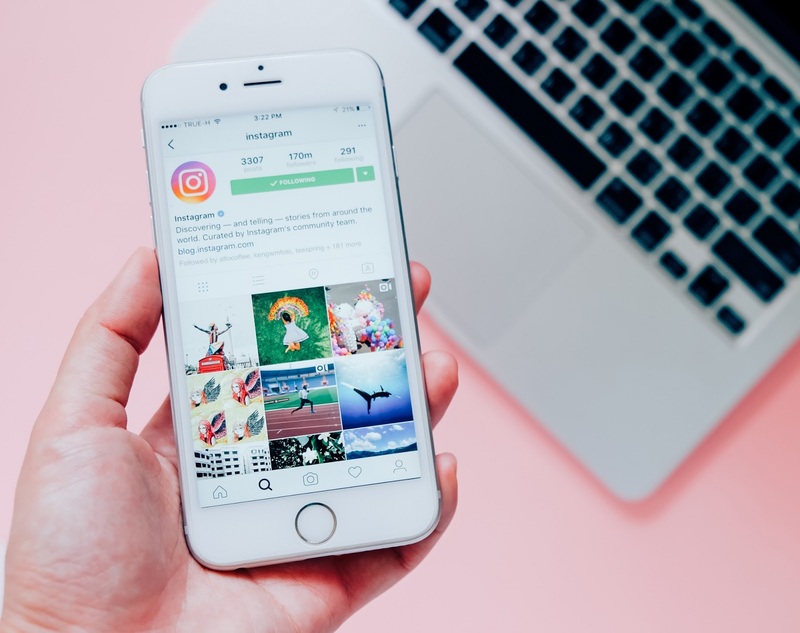 I was 16 when I first discovered the beauty blogging community and 'Youtube beauty gurus' such as SWalkerMakeup, Pixi2Woo and Fleur De Force. It was because of people like Sara Walker and Tanya Burr, (OG influencers!) that I first heard about St Moriz (Pronounced San Mo-ritz up north) fake tan. Back then, the £3 mousse was available to buy in Bodycare, a budget beauty store based just around the corner from where I worked at the time. I just had to get my hands on some St Moriz. All my dreams of achieving that Jlow glow had the potential to come true, all thanks to one bottle of fake tan. Discovering fake tan was honestly such a turning point for my self- confidence. Around this time, I was also obsessed with Vanessa Hudgens and hell-bent on doing everything I could to look like her - including magically transforming my naturally very pale skin, into tanned olive skin like Vanessa's. Sure enough, this didn't happen for me in the actual sunshine, I simply turned a flattering shade of lobster red. I guess the fact that Vanessa is of Filipino descent and I'm as caucasian as they come, didn't really spring to mind. That's when fake tan became my beauty saviour. 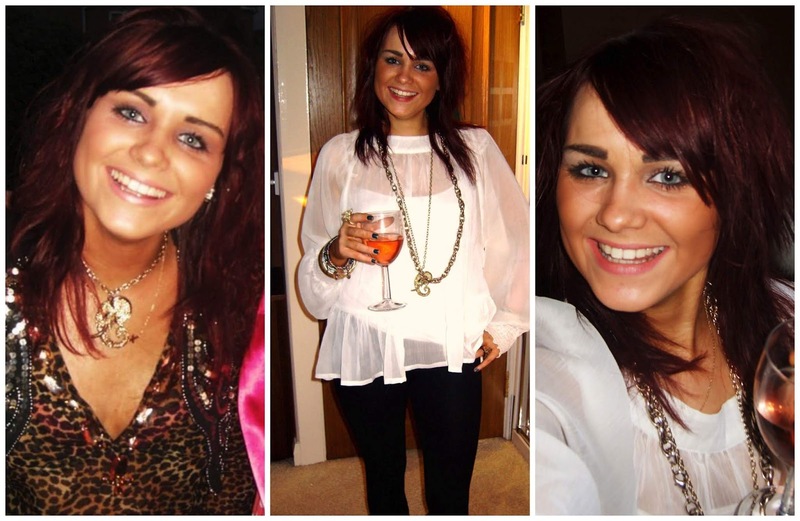 I had a pretty unhealthy obsession with fake tan between the years between 2009 and 2012. I'd apply layer, upon layer, upon layer, upon layer of the stuff. I kid you not, there was a time when a specialist at the hospital where I was having a nerve conduction test actually asked if I had a skin disorder. On another occasion, my Mum bribed me with a professional spray tan for my 18th birthday - If only I promised to not wear another layer of fake tan in the weeks leading up to the event. These days I embrace my naturally pale skin - My new female muses include pale skinned beauties Anne Hathaway and Emma Stone. I do however still enjoy dabbing with fake tan in the late spring/summer time, I like to make my limbs look more lively with a touch of tan. On holiday I also tend to sit in the shade most of the time and use fake tan to give myself that 'just-been-cooking-in-oil-all-day' kind of glow. Fake tan formulations have come such a long way since 2009, there is much less of that sweaty biscuity odour, far quicker developing times and much more sophisticated colour payoff to suit a range of different skin tones. 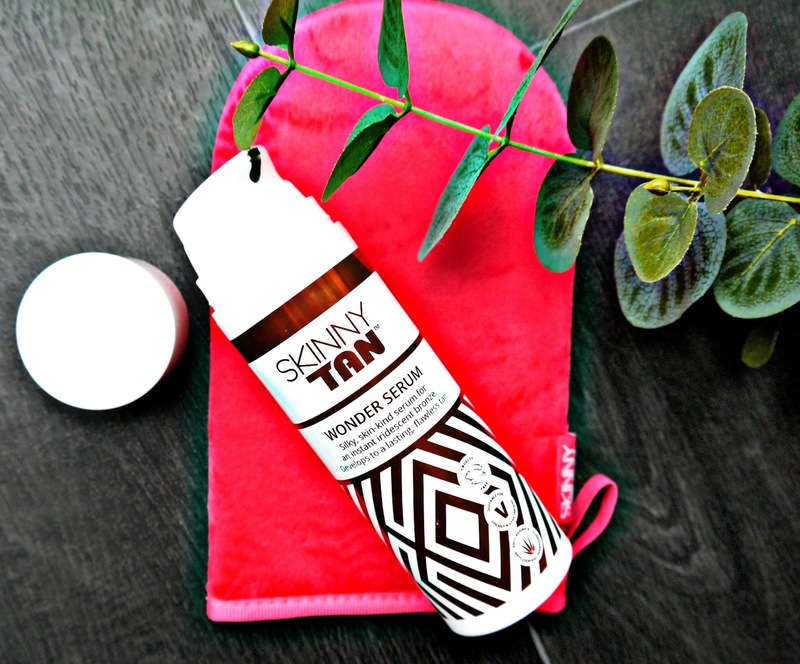 I have recently been trying out the new Skinny Tan Wonder Serum* - The latest innovation from the Skinny Tan brand. I first became aware of the Dragon's Den backed brand when I interviewed them for this article. They seemed to be doing some interesting things within the beauty space, especially given that they're relatively late to the fake tan party. Skinny Tan's latest innovation, the Wonder Serum is suitable for vegans, certified cruelty free, free from parabens and sulphates and is made with 95% naturally derived ingredients. The serum formulation applies like a gel, it's smooth and silky and whilst it looks a little frightening when you first apply the deep brown gel to the skin, it soon settles in to provide an even tanned coverage. I particularly love using it with the Skinny Tan Dual Tanning Mitt which is extra soft and supple to use. I like that this tan is comfortable to apply and wear as quite often fake tans can be quite drying on the skin. My tan looked beautiful and even for 5 days before it needed exfoliating away, which I think is pretty good going. 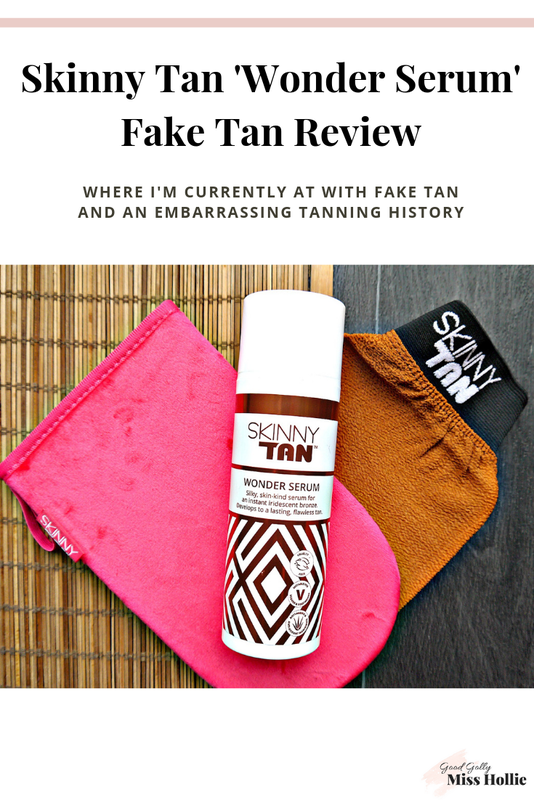 If you're in the market to try a new fake tan, I'd recommend giving this one a whirl. 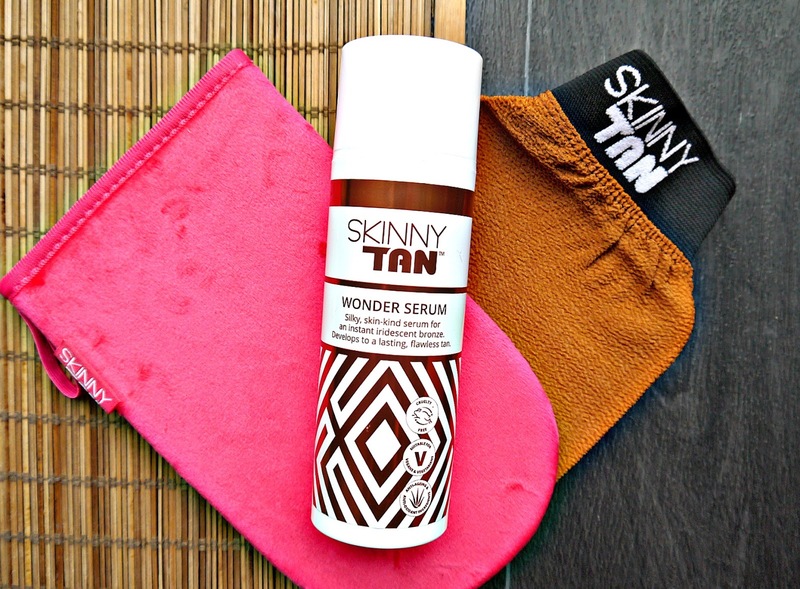 You can buy the Skinny Tan Wonder Serum 145ml from Boots for £19.99.